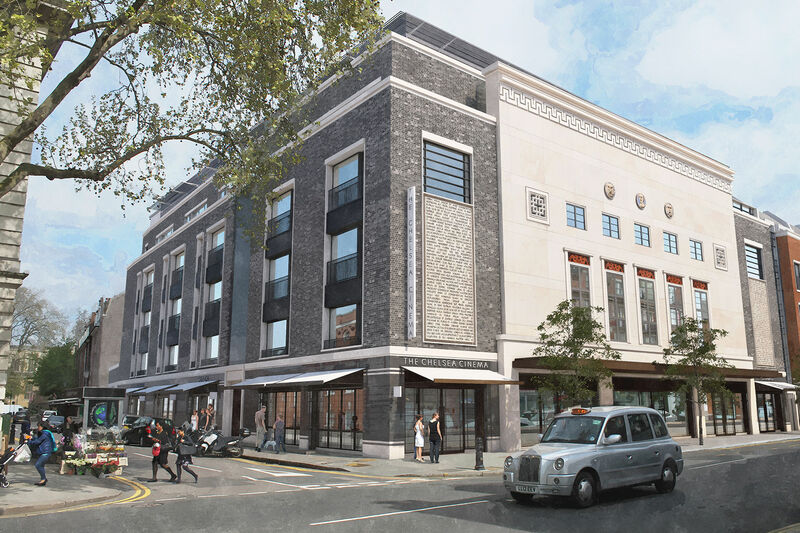 The redevelopment will enhance the central section of the King’s Road, opposite Chelsea Town Hall. View of the scheme from the King’s Road, at the corner of Chelsea Manor Street. art-deco Gaumont Theatre building, introducing the best of modern design in harmony with the heritage surroundings. The work will commence during the first week of April 2018 and construction is due to be completed in early 2022, with internal fit-out scheduled for completion in 2021.